Advisor to the Minister of Transport of Russia, Advisor to the Senior Vice-President of VTB bank, Corporate Director & Partner of the CAPITAL TOUR Gr. (2007-2011). Advisor of the Minister of Transport of Russian Federation, Vice-President of the Aviation Council of the Ministry (2005-2007). Vice-president charged with strategy (Irkut, Corp.) (2003-2004). 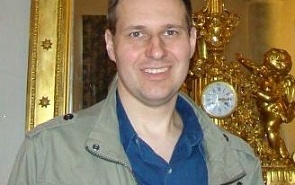 Advisor for the General Director/Director of the department of the strategic development of JSC “Aeroflot” (2000-2003). What Does July 14 Mean for the French? July 14 is the Bastille Day, the National Day in France. What lies behind the high symbols and clarion words for a modern Frenchman?